Joe has provided amazing service to my business! He always makes any concerns a top priority!!! Truly love their commitment to me and my business! Tavares is our buddy. He is very informative and explained the new site to me thoroughly. We are happy! Extremely happy with the service. Convenient times-professional staff and the best of all no bugs!! Still looking for a more proactive technician's solution drive, based on inspection results and call-ins. We still feel too many of the solutions we have to come up with -- while receiving minimal input, time, meetings being setup by McCloud's tech or hub manager. OUR GUY ALWAYS DOES A AWSOME JOB!! the serviceman that services my store does a great job. He has went above and beyond to help get rid of some very stubborn pest. Mr. Davis provides excellent service. He is always Pleasant when he's here. Very good service!! Always come when I call. Operators are friendly and professional and follow up as they say they will. Great job always professional. Responds in a quick and timely manner. We are very pleased with the quality services McCloud Pest Management Solutions provides us! Service is consistent and reliable. 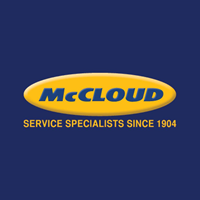 Great service and willing to help solve any problems..
We use McCloud for all our locations and we are very satisfied with the service. Excellent customer service, very responsive when you call them, courteous and friendly always! Our tech, Joe, is professional, courteous and always keeps me well informed of any issues that arise. He makes my life easier by direct communication. Always willing to make our last minute work either coming in early or late to meet our product. Always a great experience with the field tech and manager, good service and knowable group of service techs. As usual Bill and his team solved any issues that we had. The Tech was very patient and professional. Very detail oriented. Really solidified my confidence in the choice to switch from Orkin to McCloud!! Dexter has always done a great job for PF. Very helpful in all areas. As you might know the FDA and FSMA is making it tough for food facilities as they should to protect the consumer. I spoke to every level of the team and all were on the same page of service and quality for the food industry. Bill, Virginia, Dexter, Todd and Nathan. Good Job all. Looking forward to our business relationship. Bill does a great job. My experience with Mccloud has been nothing but a good one. With Bill and Joes help we have turned this place around 80% in the time they have worked for us. We still have a little ways to go but we are definitely around the curve. They are on top of every issue I have and let me know what I need to have corrected with our buildings to continue bettering our business. Ants are still a problem even through you have charged us a lot of money and have made frequent trips to our location. Unsure why we should continue doing business together other than we had to sign a one year agreement. Tim was very polite and helpful!